On March 29, the NFL once again found themselves in the middle of a huge controversy when the league called for the New York Times to retract a piece that calls into question the validity of their concussion studies. 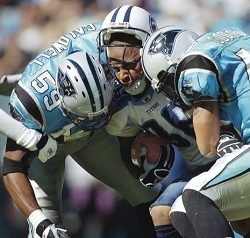 In an article published by the New York Times on March 24, it was revealed that, while the NFL has stood by their findings for the last 13 years, “based on a full accounting of all concussions diagnosed by team physicians from 1996 through 2001,” more than a 100 concussions were removed from the report. Iconic quarterbacks Steve Young and Troy Aikman were cited in the report as being some of the names the league omitted from their study. This is not the first time the NFL has been accused of sweeping things under the rug. In 2013, the NFL agreed to a $765 settlement in a lawsuit that saw retired players claiming that league officials covered up the risks of concussions. In a statement released on Tuesday, the New York Times informed the public that they will not retract the article like the league is requesting. “We see no reason to retract anything,” the Times poignantly expressed, citing the factual background presented in the article that justified each claim that was made.